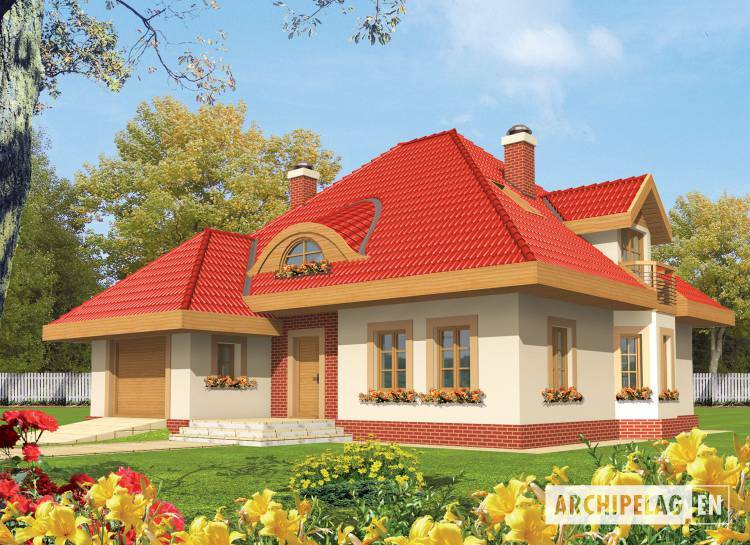 A one-storey house, without basement, with garage, intended for 4-5-person family. Lump of the house on the plan of the rectangle with the moved garage and the arcade from the side of the garden. Hipped roof. On side elevations bay windows ”leaving„ from a living room and the kitchen. Above bay windows upstairs balconies. On the ground floor additionally a study was predicted. Kitchen the dining room and a living room connected with oneself - are creating one space of the daily zone from the side of the garden. 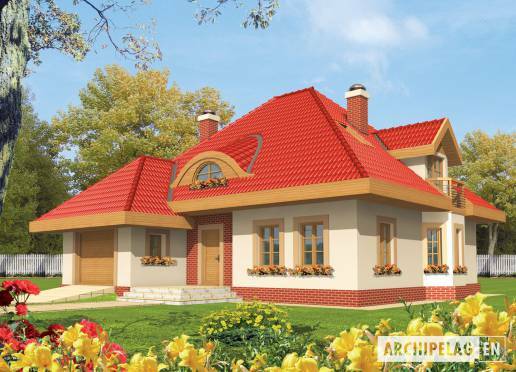 A house was designed in bricks technology with suspended beam and block floor. A wooden roof structure covered with cement tiles. Facades finished with structural plaster and wood. Woodwork window frames. Internal wooden stairs.